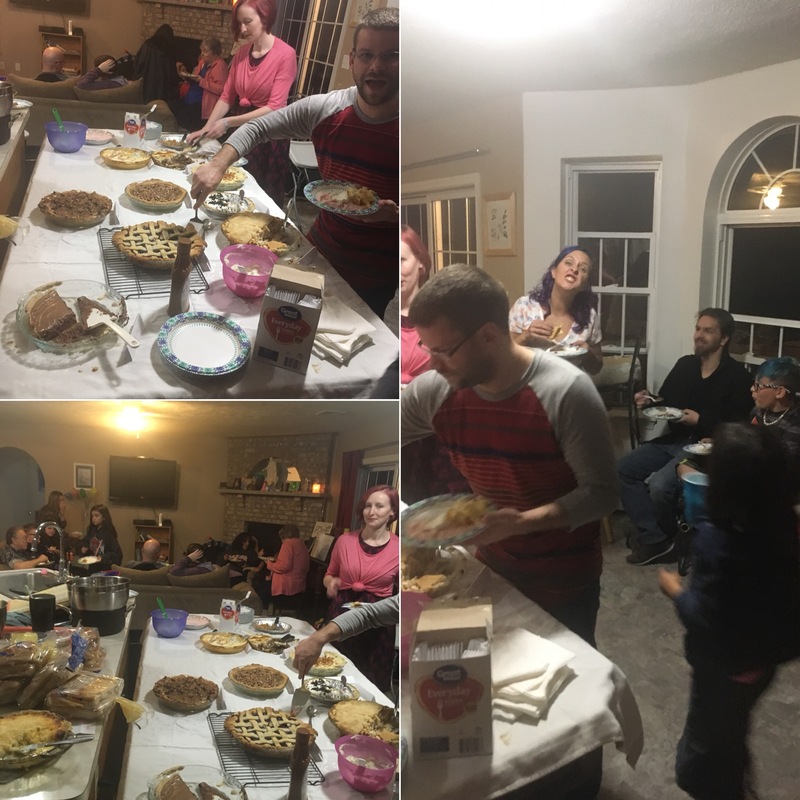 Our biggest tradition each year, outside of the holidays, is our annual pie night. Each November the Friday before Thanksgiving we have what others may also call Friendsgiving. We call it Pie Night. This year AJ will be traveling and gone a lot this fall. Instead of cancelling this fabulous event we decided to simply move it up a few months. A lot of prep and planning goes into Pie Night. For months I look thru online recipes and cookbooks I have on hand. The process sounds easy enough but do you know how many different versions of a pecan pie are out there? It’s a bit mind blowing. My final list of pies was about 23 pies. Slightly ambitious? Yes. Part of the fun for me is challenging myself to see how many will actually make the time cut after making the “sounds tasty” by the family cut. Tradition requires a chicken pot pie and a cherry pie. I’m not a cherry fan, but AJ loves them so I figure once a year it would be ok to let him have what he wants. Traditionally, my friend Tara would come up in the morning and help out during the day while the kids are at school. She’s a self-proclaimed “not a pie maker” but her help is absolutely invaluable. I realized just how much this year when she wasn’t here to help prep and wash dishes. I missed you this year Tara!! I hope you decide to do your own version of pie night in your new home out west. These are the pies on the list but didn’t make the time cut. Over the last few weeks I have been making the pies which didn’t make the time cut since we had the ingredients. The salted chocolate caramel pecan pie was DE-LISH-OUS! Definitely making that again, and I might not wait until next year. This is a pretty delicious tradition and we have a lot of fun having our house full of friends. What are some of your traditions for fall? We plan on going to the pumpkin patch soon, and maybe pick some apples. Link up your fall traditions post below. Join us every third Wednesday.